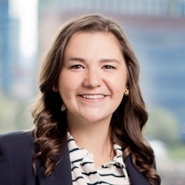 Goulston & Storrs associate Jessica Caamano was connected with Denise* after she attended a Legal Clinic for the Homeless at Pine Street Inn. Denise was homeless and living at Pine Street. She suffers from chronic physical disabilities that prevent her from obtaining full-time work, and had previously lived for many years in Section 8 housing with her adult son. In recent months, her son had stopped paying rent or contributing to the household. Denise struggled to cover the rent on her own and eventually received an eviction notice. She was under the impression that, due to the notice, she was no longer expected to pay her rent, which ultimately caused her landlord to file an eviction action in court. Due to a series of misunderstandings, Denise never attended the summary process hearing, resulting in a default eviction and the loss of her Section 8 housing voucher. She then moved to Pine Street, where the instability of shelter living exacerbated her physical disabilities. Jessica worked with Denise to document the events leading up to Denise’s eviction. She also spoke with people from area housing advocacy organizations who had worked with Denise during the eviction process, and recruited some of them to write letters of support and letters outlining the miscommunications that led to Denise missing the summary process hearing. At Denise’s hearing for reinstatement of her housing voucher, Jessica presented the hearing officer with the facts explaining Denise’s particular situation and the reasons why such circumstances would not repeat in the future, as supported by the letters from area housing advocacy organizations. Jessica also emphasized that Denise now better understands the parameters of her housing voucher, and would be sure not to violate its terms if the Section 8 voucher was reinstated. The hearing officer agreed to reinstate Denise’s voucher on the condition that she pay arrears to her former landlord. Denise had been saving money from a part-time job and was recently able to settle her debt. She expects to have her voucher reinstated soon and looks forward to moving out of the shelter and into a small apartment. *Client’s name has been changed to protect privacy.